Founded in 1769, the Faculty of Medicine is Semmelweis University’s oldest and largest faculty with nearly 4,000 students. The Faculty provides a standard of education that is fully in line with that of other high quality European medical schools. Its Medicine programme (which results in an M.D. degree) is available in three languages: Hungarian, English and German. In addition to its educational activities, the Faculty is committed to providing the highest level of progressive health care and conducting advanced scientific research within both its classrooms and clinical departments. International Relations The Faculty of Medicine’s network of international contacts spans three continents and includes student and staff exchange programmes, as well as scientific collaboration. The Faculty has had a continuously running staff and student exchange agreement with Ruprecht Karls University (Heidelberg, Germany) and Albert Ludwigs University (Freiburg, Germany) since 1983, constituting its oldest, and among its most successful collaborative relationships. Other partner universities in Germany include the Free University of Berlin, the University of Lübeck, and the University of Ulm. While most of these exchange programmes are run according to a set exchange quota and duration of stay, the latter two are initiated through individual invitation. The exemplary cooperation between Semmelweis University and the Asklepios Medical School opens up new horizons in European higher education. 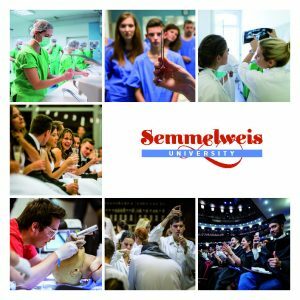 This unique education model provides Semmelweis students with the opportunity to continue their studies in Hamburg after having successfully completed two years of theoretical training in Budapest. The programme at the Asklepios Campus follows entirely the Semmelweis curriculum and it provides the students with a Semmelweis diploma at the end of their studies. The Faculty of Medicine Asklepios Campus Hamburg is a binational faculty which operates under the supervision of the University’s Faculty of Medicine. This model was established based on the Amsterdam Treaty which created a unique and successful example of cross-border education in Europe. Altogether, the Faculty has active student exchange agreements with seven higher education institutions across five countries: Germany, Romania, Slovakia, Japan and the United States. Bilateral staff exchange programmes are currently in place with universities in Austria, Germany, Italy, Romania and Slovakia. The Faculty is a full-fledged, active participant in the European Union’s ERASMUS mobility programme. Another important element of the Faculty’s international activities is the promotion and strengthening of scientific collaboration. This includes participating in joint research projects, sharing scientific literature, and informing each other about, or jointly organising scientific conferences, meetings and events.